We were recently engaged to build a new website for Ann Ranson, a Dallas Marketing Consultant. Her main objectives were to update the look and feel of the site and she wanted to be able to easily add new articles and upcoming speaking events. 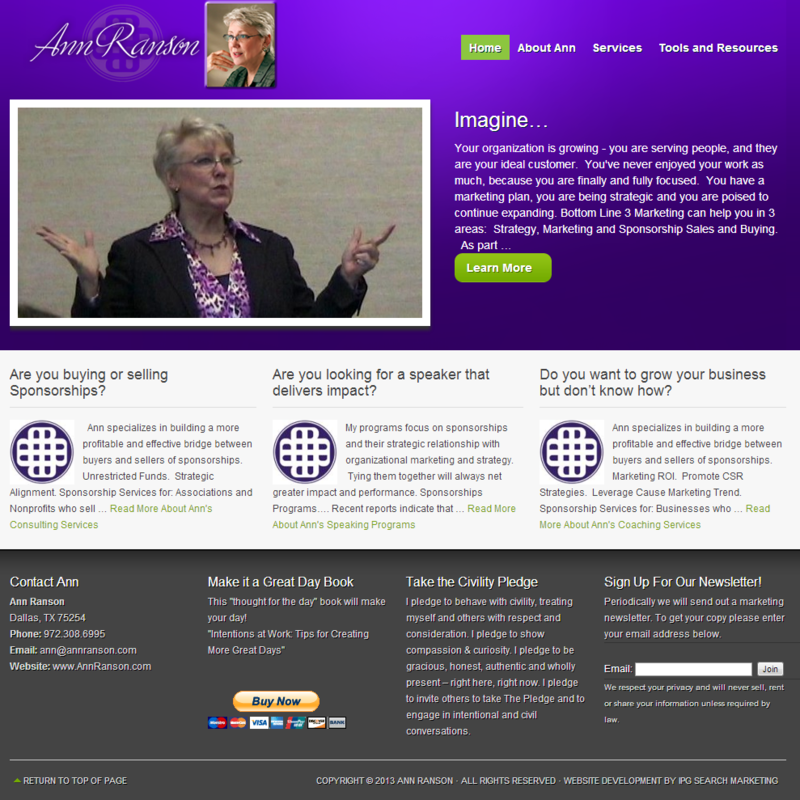 Ann specializes in working with non-profits, associations and small businesses to help them reach their goals by integrating values-based strategies that meet the growing market demand for social responsibility.